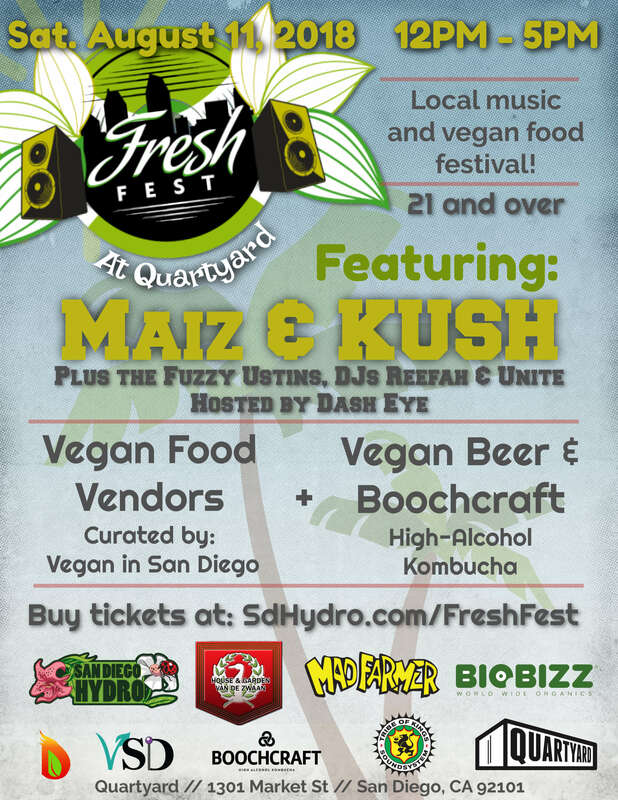 San Diego Hydroponics & Organics presents San Diego’s 1st annual Fresh Fest, an event highlighting local music paired with vegan food and drinks! Join us on Saturday, August 11th, 2018 at Quartyard in Downtown San Diego (Market & 13th) from 12pm-5pm! Hosted by Dash Eye from Tribe of Kings. Vegan vendors curated by Vegan in San Diego. Featuring live music from Maiz, KUSH, the Fuzzy Ustins and DJs Reefah & Unite!